The cat's out of the bag. We're building a maternity center. 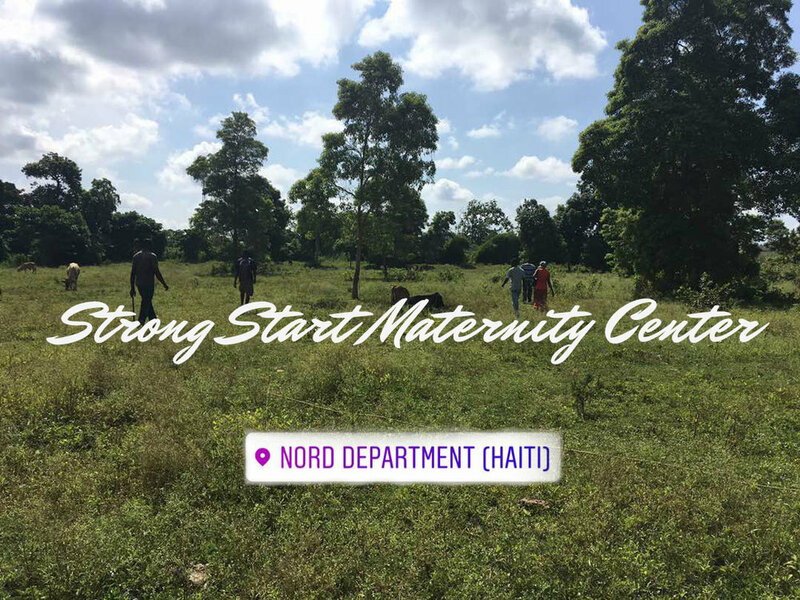 Strong Start is Second Mile Haiti's newest initiative. Our passion for helping families live vibrant, healthy, together lives has inspired us to grow--- again. This time we're growing backwards. With plans to build a community-based maternity center just 1.8 km from our current location, Second Mile will give 170,000 individuals living in the commune of Milot the opportunity to access safe births, prenatal care, family-based education, and a strong shot at life. On June 12th, 2017 we finalized the land purchase that makes this dream a reality. On September 6th, 2017, we Broke Ground. Phase 1 of construction is underway! During the past 7 years, we, the founders of Second Mile Haiti, have learned much about the country of Haiti and the many challenges that contribute to family separation and hinder child survival. In our efforts to teach families how to prevent malnutrition, we have often been pained by the notion that if more women had access to prenatal care & education, safe birth, and postpartum support, fewer children would require care at our center. While estimates predict that 67% of women attend as many as 4 prenatal visits during pregnancy, affordable maternity care is not readily available throughout the country. Due to geographical remoteness of health care facilities and the costs associated with pregnancy and birth, many women give birth at home. Only 37% of women give birth in the presence of a skilled birth attendant, such as a doctor, a nurse, or a midwife, making Haiti the most dangerous place to give birth in the Western Hemisphere. We know first hand what happens when women don't have a safe place to give birth. The recovery program at Second Mile Haiti has supported many dads, aunts, and grandmothers who found themselves caring for children whose mothers had died during or just after childbirth. This inspired us to take a closer look at maternal health in Northern Haiti and what we learned put us on a fast track to making maternal health services more readily available to the people we serve. Donate to our capital campaign. We are currently raising funds to build each of the buildings you see below. Know a midwife or healthcare provider who might want to lend a hand? Help us find new partners. Sign up for Strong Start construction progress reports. Follow along and share updates using the hashtag #buildstrong. Show your personal commitment to women and children through regular gifts. Become a monthly donor. Ready to join the fight for women and children in Haiti?